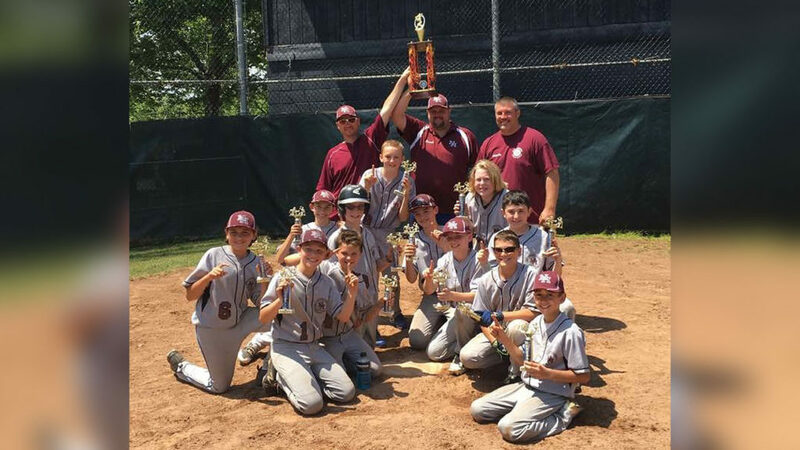 North Haven’s 11-year old boys’ baseball team topped them all this year by winning the East Shore Travel Baseball League, Majors Division. The East Shore League is a competitive AAU league that consists of teams from all over the greater New Haven area. The North Haven Indians 11u team, led by head coach Mark Kornacki and assistant coaches Dennis Ryan and Brian Cullen, finished their regular season just two games out of first place with an 18-9 record. Standing in North Haven’s way during the semi-final match-up was the number one seed Guilford Braves. North Haven was quickly down 5-0 to Guilford within the first few innings. The Indian’s comeback was sparked by a 2-run home run over the centerfield fence by shortstop Chris Labanara. The Indians continued their rally thanks to a solid pitching performance from Tyler Harger and great catching by James Tobin. With a final score of 10-5 over the Braves, the Indians marched into the finals behind the unstoppable defense of first baseman Dominic DeSimone and outfielders Brady Cullen and Max Cargan. North Haven faced Fairfield’s Clubhouse in the championship game where the Indian’s bats stayed hot. Brendan Ryan, Dante Velez, Ryan Bauman and Andrew Coppola gave Clubhouse pitchers all they could handle, while Tyler Kornacki’s tenacious base running helped clinch a convincing victory for the Indians. In the end, North Haven’s starting pitcher Steven Vincent threw a gem and ended the game in grand fashion with a walk-off home run for a mercy-rule 9-1 championship victory for the North Haven Indians.